Experience high quality appliance repair in Punchbowl now! Give us a call for your dishwasher, washing machine, dryer, oven, and fridge repair needs. Is your home appliance not functioning well? Is it running slower than it normally does? Perhaps, it is making strange noises? Or worse, is it totally damaged? Are you paying out extra money at the launderette? Throwing away food as it’s getting spoiled? Handwashing cookware? Or even depending on eating take-aways because you have not attended to the repairing demands of your home appliance? Are you worried about how much it will cost? Can you picture approaching a questionable repairman who can’t distinguish the difference between Bosch and Samsung? Are you thinking of fixing it by yourself but you know you might harm yourself or cause a lot more issue to the appliance? Don’t go on with this hassle any longer! Give the Home Appliance Doctor a phone call now and have our helpful, certified expert technicians to repair your appliance efficiently for a lesser price than what you might have thought. 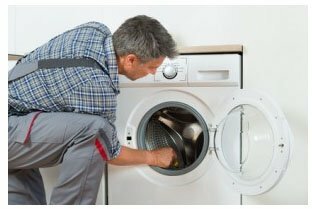 So, regardless of the electrical or mechanical trouble with your washing machine, dryer, refrigerator, oven, dishwasher or other appliance, we’re the experts you’ll want to phone to have your home working well once more. We’re here to make your everyday life less difficult, waking up daily to a well functioning kitchen and laundry. We’re a locally-owned company devoted to providing top notch repair solutions for home-owners, landlords, property executives and even industrial procedures in Punchbowl and bordering areas. We take great pride in always delivering a real-time customer care experience, repairs you can depend on and count on at an affordable value – and have already been doing so for a number of years! Our reputable business and its skilled personnel have been trained professionally, are accredited, insured and are laced with experience when it comes to major models and appliance brands. They undergo consistent updates on requirements, new technologies together with repair innovations for appliances. Our staff are extremely approachable and friendly; they are aware of where you come from when a very important home appliance has broken down on you. There are a lot of appliance brands which we have expertise in – these include appliances from manufacturers including Whirlpool, Bosch, Westinghouse, Maytag and Samsung. Our company will cater your repair demands fast because we have a mobile fleet that serves its role effectively – which means we can immediately aid you even when it is of a short notice. In addition, our business website is extremely responsive in booking repair appointments that will work best with your time. As The Home Appliance Doctor, we’re fast and trustworthy. We don’t keep our clients waiting. After a call, your situation will be examined – afterwards, our licensed professionals will be right at your place in a heartbeat. The busted appliance will then be thoroughly inspected to be able to find out the issue; a quote of the repairing services charge will be presented to you. Next, our technicians will get moving after you’ve authorised the prices. In case wherein the problem is minimal, the repair will occur immediately on the same day you contacted. On the other hand, if the issue is more serious, our experts will have to return to your home with the needed parts. Also, we provide warranty to the appliances which our employees work on. We are dedicated to customer happiness, so if you are in Punchbowl and need a home appliance repaired, contact The Home Appliance Doctor. Nowadays washing machines are a vital workhorse of the domestic household. Once they stop working, it will cause tremendous disruption to the circulation of your home, requiring clothes and bedding to get washed by hand or at the nearby laundrette. You need your washing machine fixed quickly. Due to their complexity and the number of brands and models, we invest seriously in state of the art diagnostic equipment to determine the issue before repair begins. 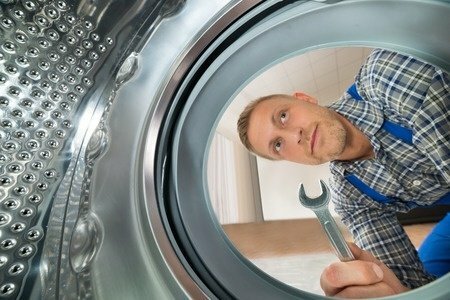 We are up for just about any task on washing machine repairs – we take care of popular brands including Whirlpool, Samsung, Bosch, Maytag and Westinghouse. No individual finds hand cleaning the dishes enjoyable! 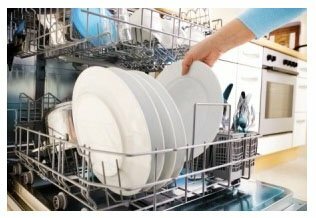 So, in the event whereby your dishwasher comes to a stop, simply call The Appliance Repair Doctor – this will certainly help you evade family arguments regarding whose turn it is to do the plates! 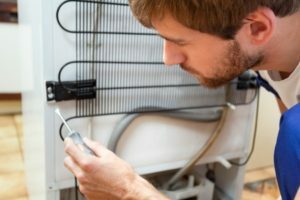 Repairing a dishwasher might seem daunting, but our expert specialists can easily diagnose and repair almost all problems. Common issues include water leaks, failing to launch, loud operation, not draining correctly, inability to fill up with water, inability to distribute cleaning soap, not effectively cleaning or drying dishes and door latch failures. We can easily fix all these issues for you. Most households have a refrigerator to store their perishable food items. A common problem is a busted thermostat and a broken fuse making the fridge to power down. If your fridge is not functioning properly, you have a potential disaster to deal with. Time is of the essence, to avoid the expense of rotten food. Thus, when you find out that you have an issue, get in touch with our refrigerator repair team. All of our technicians are dependable and fast, and can help save your refrigerator – and its contents! They can even inform you on tips to avoid the issues returning. Our team offers services for freezer and refrigerator repairs of leading brands including Bosch, Westinghouse, Whirlpool, Samsung and Maytag. We also accommodate commercial companies who require refrigerator repairs. 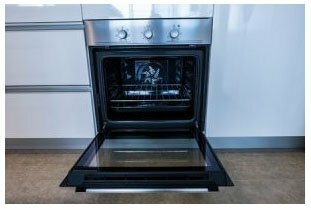 We identify and fix various types of stove, both gas and electrical, as well as oven issues such as malfunctioning gaskets and doors, broken heating elements, broken coil surface, malfunctioning of element panel to relay and failing of switches. Our company offers repair service for microwaves, dryers and all other household appliances – even the ones that need electrical repairs. We also provide maintenance services and appliance inspections. We can advise effective methods of cleaning the home appliances and we are equipped for setting up new appliances for your residence. Whatever your home appliance repair needs in Punchbowl, contact the doctor for a professional diagnosis and quick and efficient repair. We will get your appliance functioning just like new in no time. Call or fill out the application on this web page.